If you think there is nothing better than whipping a giant cleaver out of your pocket, then these folders from Berg Blades will be right up your alley. 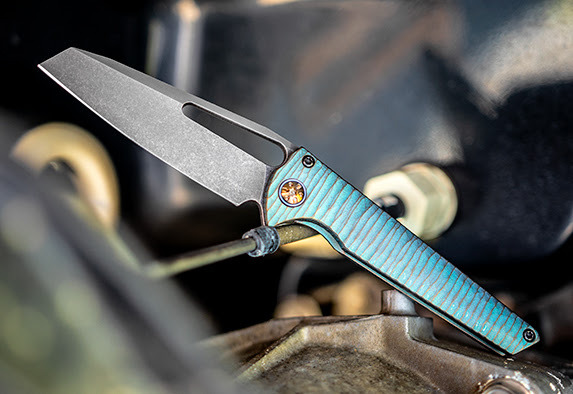 The materials and fit and finish are excellent on the handmade SLiM while We Knives knocked it out of the park on the Mid-Tech Golem. 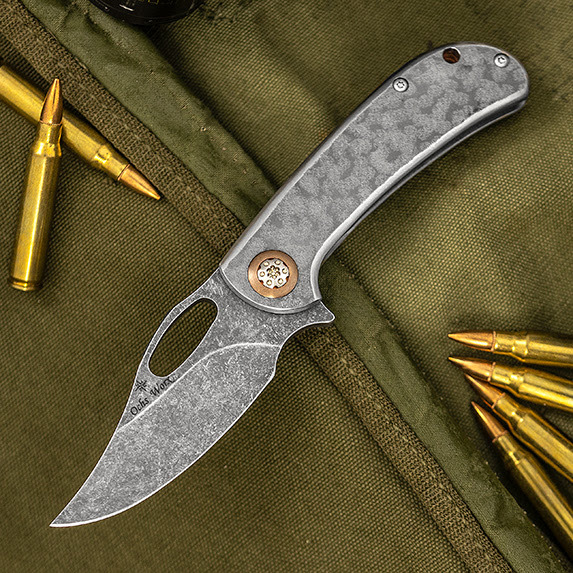 Not for the faint of heart, these knives are built to make an impression. Just make sure you can handle the attention! 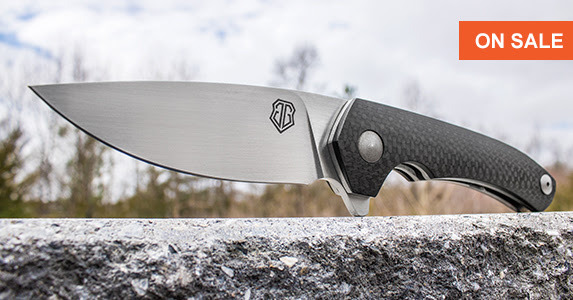 Eric Ochs combines classic hand techniques with state-of-the-art materials and processes to create elegant knives for enduring use. We’re sure you’ll agree that these custom offerings are stunning! 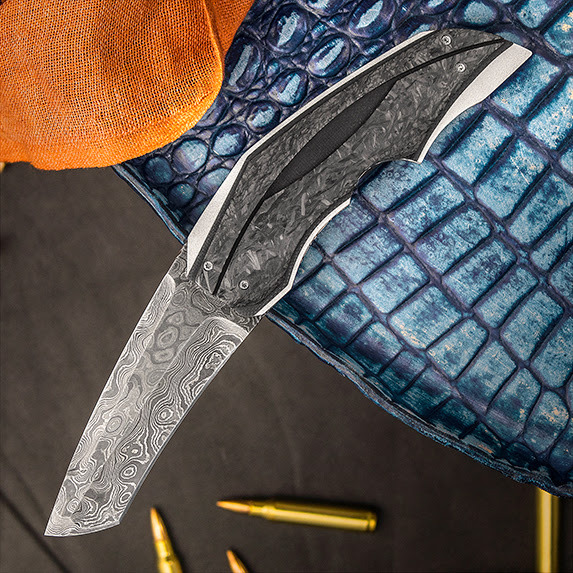 His dedication to his craft shines through, and these Griffin, Tillamook, and Woodpecker designs feature beautiful touches such as hammered finish titanium, striking Micarta, and carved titanium pocket clips. 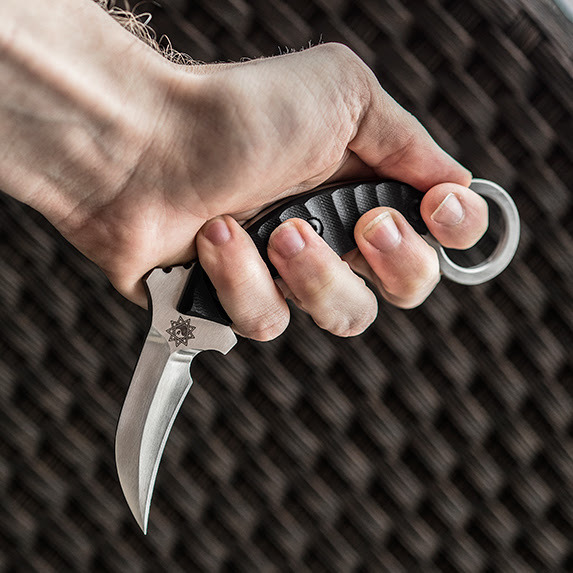 Highly regarded by martial artists, LEO and military personnel, Rich Derespina knows how to design a good karambit. 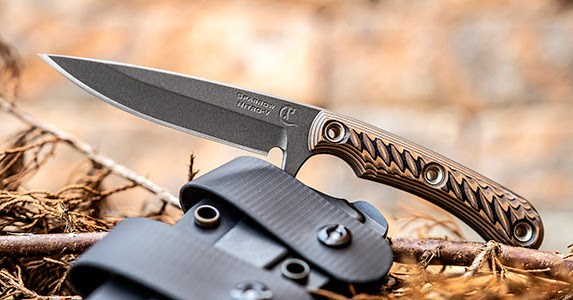 His famous Model 10 was designed to be the tactical fixed blade that you can carry everyday. The hawkbill blade is fearsome (but still works for all your utility needs), and angled for maximum cutting and slashing power. We have both the production and customized versions of this amazing karambit. In high energy situations where every second counts, the RMJ Tactical Sparrow is everything you need in a fixed blade and nothing you don’t. This is the perfect EDC to get you out of a jam, with Nitro-V stainless steel, G10 grips, and a slim Kydex sheath for belt carry. The Sparrow was designed by RMJ crew member Charles Taylor and is proudly made in the USA! Speaking of attention grabbers, pay attention to these limited edition OTF Automatics from Microtech. 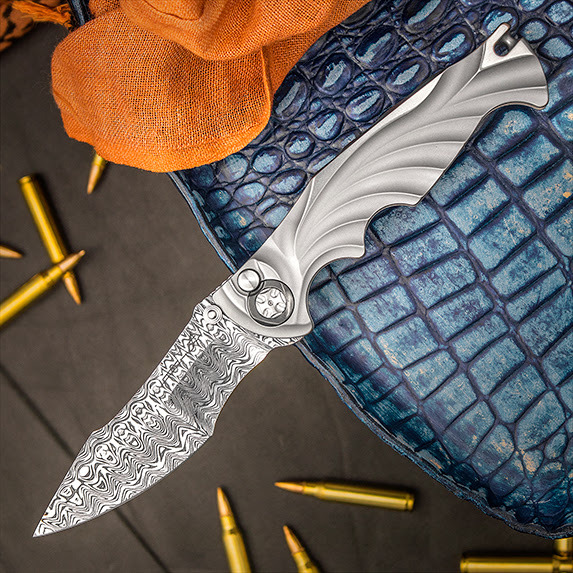 A collaboration between Deryk DC Munroe and Tony Marfione, these Cyphers feature the Sigil-style Wharncliffe blade which flies in and out of the handle with just a slide of the thumb. Fine details like a milled pattern on the handle that perfectly match the pocket clip and a sublimely executed trigger mechanism set the Cypher apart from the rest of the pack. 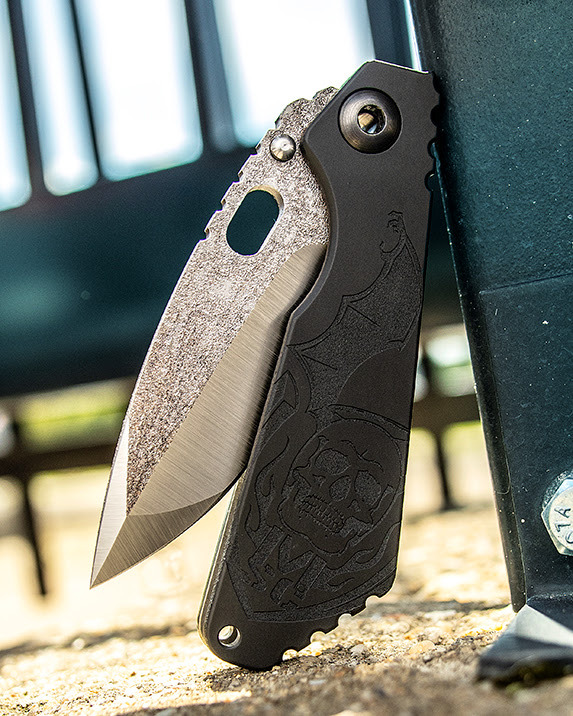 The iconic Mick Strider SnG is a heavy-duty beast of burden, but that doesn’t mean it can’t look great, too! Compound grinds offset the textured finish of the flats, and a laser engraved aluminum handle ensures people know you mean business. 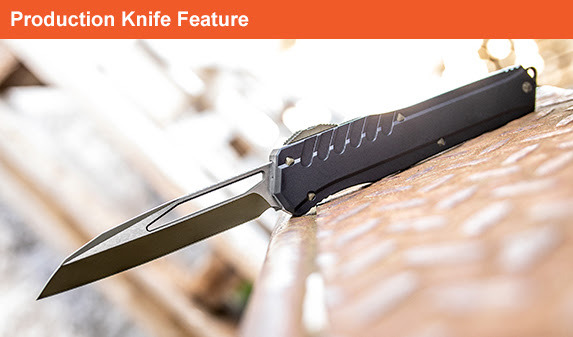 Its CPM-20CV blade steel and titanium frame lock ensure you can still push this knife hard! The Tighe Breaker is a fantastic combination of tactical flair and supreme ergonomics giving you a fighter with the looks of an art knife. We have a nice variety here including Automatics and extremely lightweight carbon fiber models with laminated RWL-34 blades. 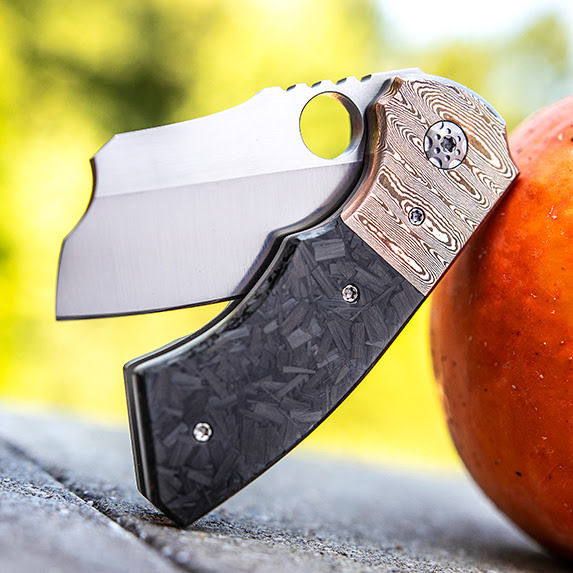 The X-Ecute, apart from having a truly unique name, is one of our favorite models from Corrie, sporting a tanto front-flipping blade and ergonomic pistol grip handle. The blade is put into just the right position for maximum effectiveness with minimal effort. John Gray Intercept Flippers – $100 Off! Don’t miss a great deal on these awesome tactical flippers. They feature carbon fiber, CTS-XHP, and IKBS bearings. Accept no substitutes! The Bradley Kimura is back and better than ever! American-made with 154CM steel, these knives are just as good as ever and have become a fast favorite of the staff here at KnifeCenter.